Although the weather hasn’t caught up to the season just yet, it’s time to prepare for Springtime, people! It’s highly suggested we switch up our regimens just a bit in order to accommodate our tresses and the changes they’re about to face while the season is transitioning and it gets warmer (finally!). We have a few tips for you to keep your curls defined, healthy and luscious! Snip, snip! Spring into the season with a much needed trim to rid your curls of any dead ends or damage, and give it real room to grow and flourish. Book an appointment with a stylish who is familiar with curly/textured hair, and don’t be afraid to try something new if you’re in the mood! Co-washing and deep conditioning are vital for healthy hair in warm weather! Implement co-washing into your routine. Co-washing consists of using a cleansing conditioner (such as our Bye-Bye Buildup, shop it here) to remove dirt, oil, and buildup from the hair without stripping it’s natural oils and moisture. 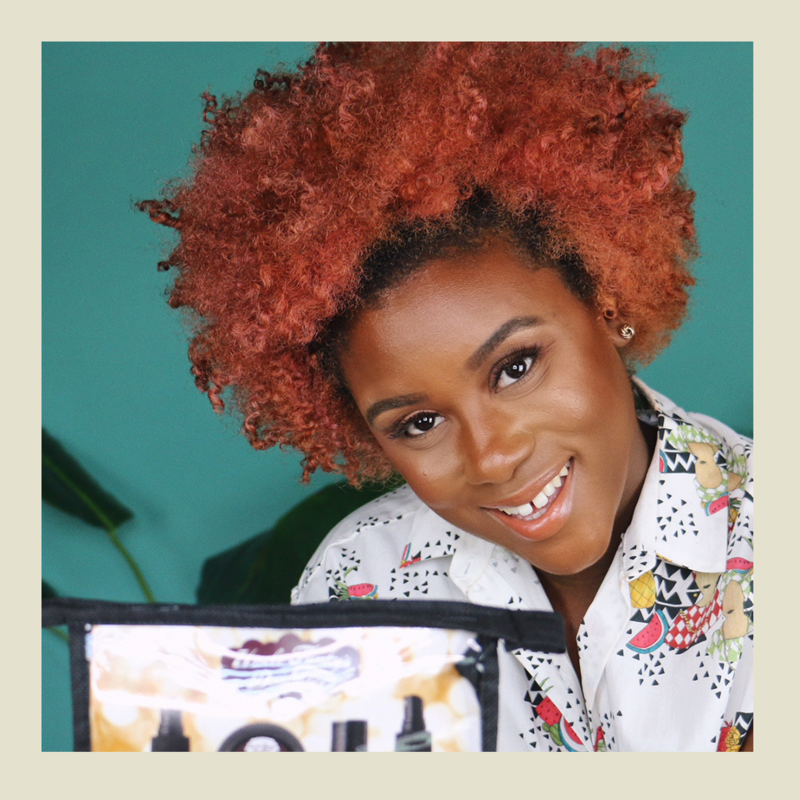 It is especially beneficial during the spring because they still have cleansing ingredients and properties (being rhassoul clay in Bye-Bye Buildup), but also have conditioning ones that your curls may thirst for during warmer weather. It’s sure to help your curls feel soft, moisturized and frizz-free! Hydrate! Our hair and skin need to be moisturized from the inside out, meaning: Drinking water and eating foods with high water content are necessary for their health! In the warmer months, it becomes easier for our bodies to become dehydrated. So, it’s super important to remember to watch your water intake and do good for your body! Watch how much you’re heat styling! We’d say it’s probably best to avoid heat styling and blow drying in order to prevent those processes from dying out your hair in combination with what the sun can already do. Heat styling can be very drying to the hair, so it’s best to stray away and optimize your hairstyles to fit the season – minus the heat. Spring is here! Let’s get our curls together for some fun in the sun! Deep conditioning is key. Most of us don’t take the time to deep condition as much as we should, even though we know that’s a critical part of our hair regimen. Take some time for you (and your curls) and do a deep treatment to maintain moisture in your hair. Grab a glass of whatever you like (juice, wine, whatever!) and designate some time for self care while deep conditioning. We have waited for this season for quite some time as the winter felt so long! A few changes are needed to flourish in this season, so let’s get started! For more hair tips from UFD, follow us on social media!